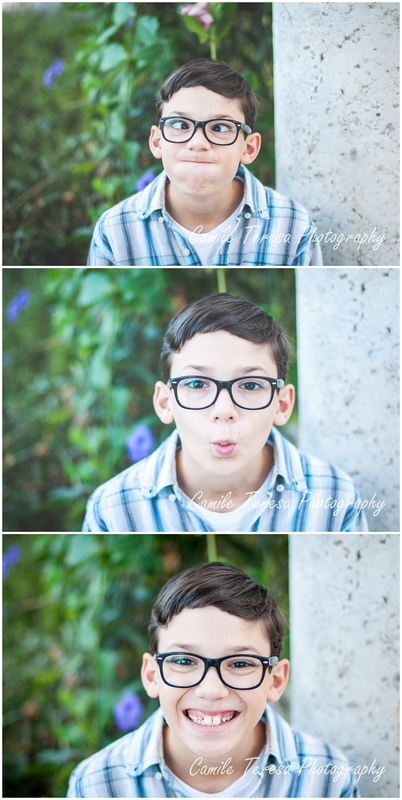 Yesterday I shot one of my most favorite subjects, my little brother! 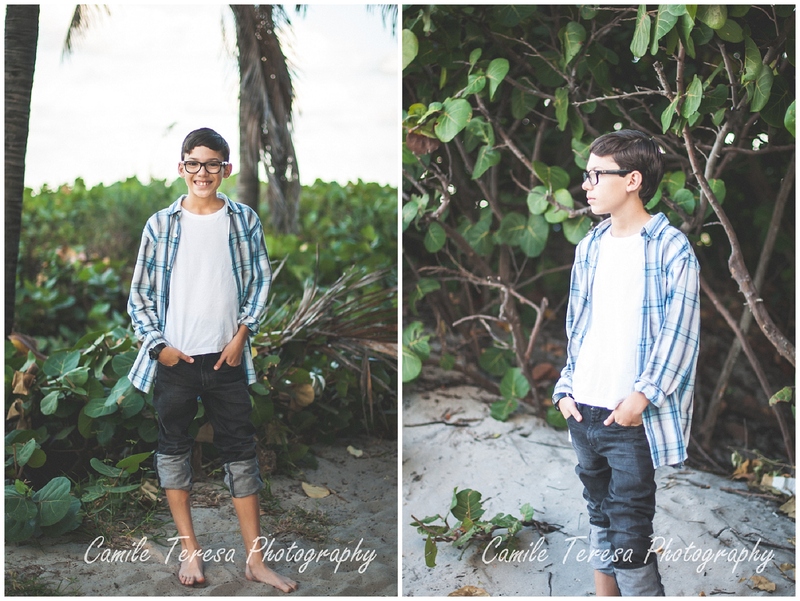 Chase is 13 years old and an awesome kid all around. I love his style and that he is so multi-talented. 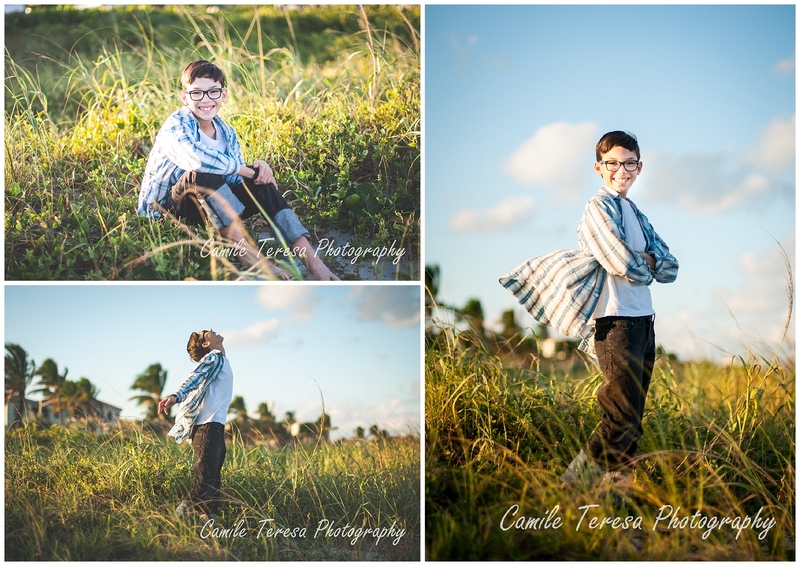 He’s been begging me to take back-to-school photos of him for about a month now, and so we headed out to Delray Beach yesterday afternoon to take some fun shots. 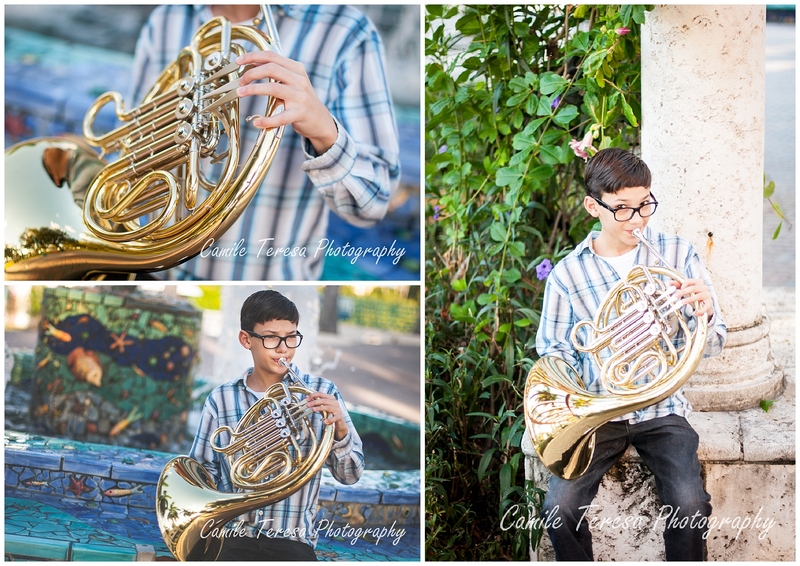 Chase is a musical kid, but his two main instruments are the guitar and the french horn (he also plays drums, trumpet, and dabbles in some others). 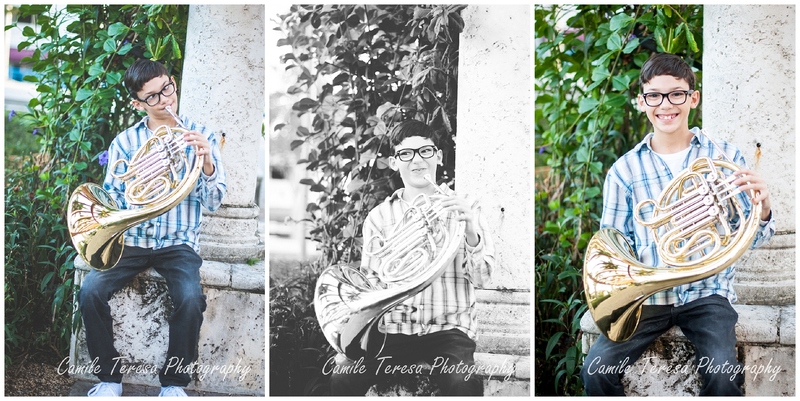 We brought both out to our session to capture his talent. 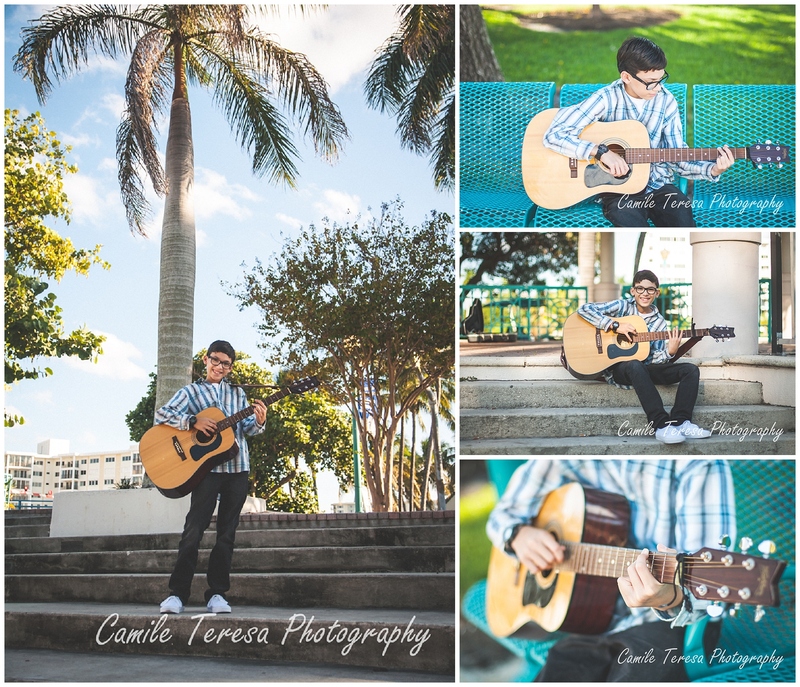 I wish there was audio in some of these photos because he was really playing! People even stopped to listen. Of course he wouldn’t be Chase if he didn’t get silly! Lastly, we headed down to the beach. I love to end my sessions there, can you tell? =) I love the beach because it just calms me. The light is beautiful, you get to put your toes in the water & sand, and the sound of the ocean is so relaxing. Plus for photos, it is such a good opportunity to have some fun! 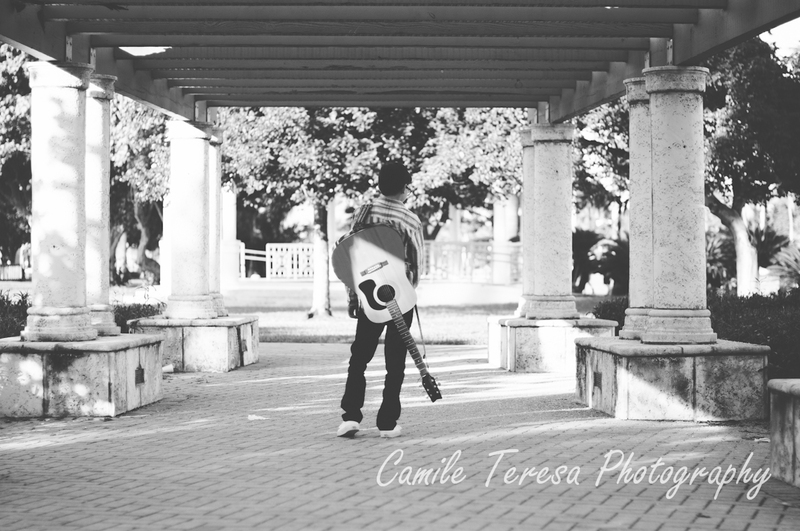 Shooting my brother was such a fun experience. It connected us as brother and sister, and gave me the opportunity to really focus on him, both through my lens and in person. I am so happy to have him in my life!